This gun completed in 2012 by the English engraver and goldsmith Malcolm Appleby (b.1946) is estimated at £40,000-60,000 in Gavin Gardiner’s August 27 auction. 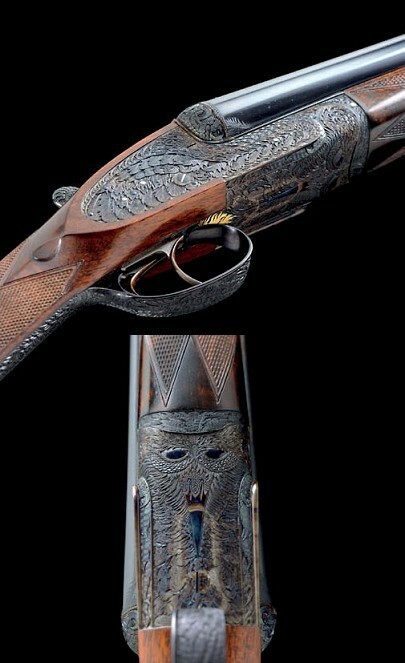 A gun completed in 2012 by the English engraver and goldsmith Malcolm Appleby (b.1946) stars in Gavin Gardiner’s annual auction of Modern & Vintage Sporting Guns at Gleneagles Hotel in Perthshire on August 27. The 12-bore side lock ejector Phoenix Gun is estimated at £40,000-60,000. Appleby, who lives 40 miles from Gleneagles in Perthshire, first started engraving guns ‘in the white’ in 1981 taking inspiration from nature. Notable commissions include The Scottish Lace Gun, The Woodcock Gun, The Raven Gun, made for the Royal Armories, and The Pike Gun, which sold at Sotheby’s in 1994. The Crocodile Gun, another Appleby-engraved commission with a round action by David McKay Brown, sold at Gavin Gardiner in 2009 for £48,000.